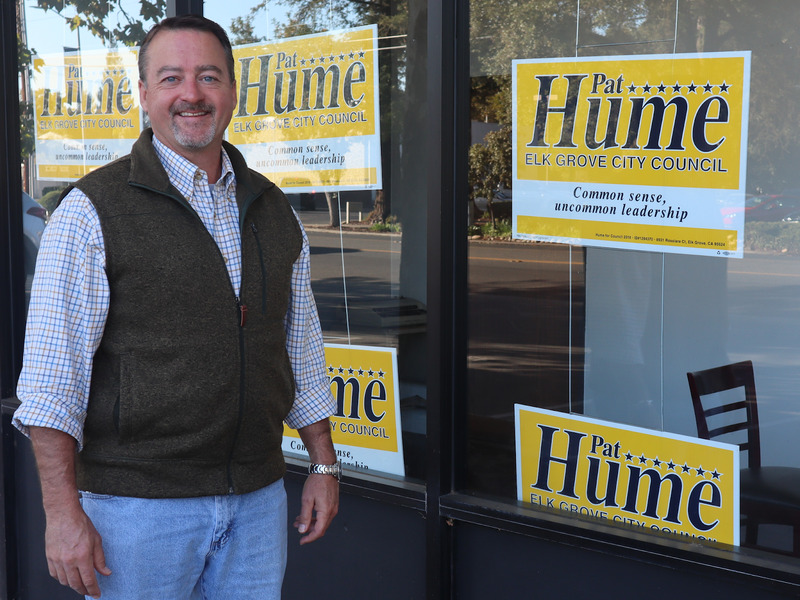 This two-part series features talks with 2018 Elk Grove District 2 city council candidates Andres Ramos and Pat Hume. The interviews are being posted based on a drawing conducted by Ramos. Today the session with Hume is posted and the discussion with Ramos was previously posted. The same topics with Ramos and Hume were covered, with one question altered slightly for each candidate based on Hume's current status as an elected office holder. The bumper music for this podcast, Take Five, by Dave Brubeck was selected by Hume. The question was Roseville, Folsom, or Elk Grove, why Elk Grove? Confucius say, "Elk Grove cheap. Maybe win big at Pai Gow in new indian casino and upgrade"
Pat Hume stated the turning point for Elk Grove was when Gary Davis and he were elected to the Elk Grove City Council. Hubris? Andres Ramos, on the other hand, said it was when the Charter Commission failed; giving a well-thought-out answer with actual facts. I wonder what Steve "The Mentor" Detrick thought when he wasn't included in Hume's answer.